* Nearby Perth International Airport, Kewdale rail freight terminal and major arterial roads i.e. Roe Hwy and Tonkin Hwy. Hurry to Secure!! Rare offering! 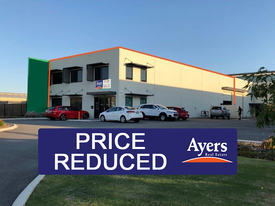 LEASED INVESTMENT | NATIO.. Price: Leased Investment | $785,..
PRICE REDUCED TO SELL.. Price: From $799,000 + GST or $7..